Thinking back to my debut novel, The Nature of Ice, in truth I found the first phase of editing—a developmental review—big and daunting. I felt I could never fully achieve what was asked of me. (Having said that, I was acutely aware of the editorial ‘critic’ whispering in my ear throughout the writing of Wildlight.) 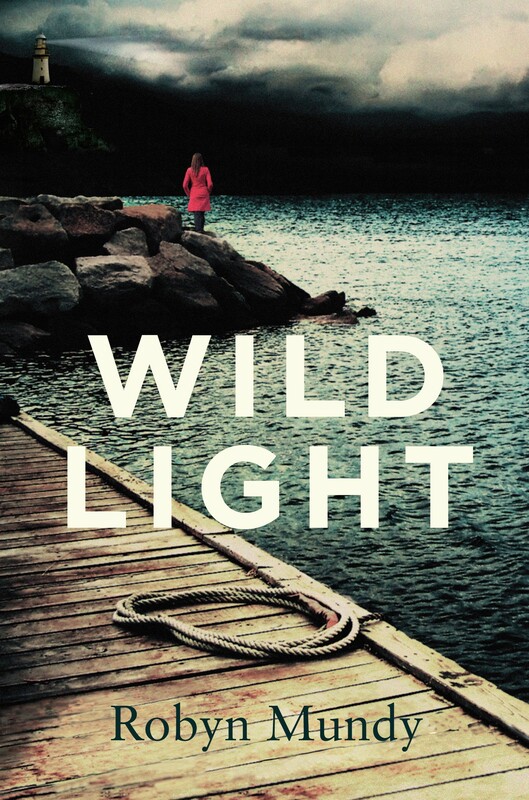 When it came to publishing Wildlight, I approached the editing with trepidation. Could I meet the demands? Would I want to? As fortune had it, the editing of Wildlight turned out to be a gentle and joyful experience. Picador’s editor JULIA STILES introduced herself with a cover letter detailing her thoughts on the story—praise, questions and suggestions, along with this reassurance: I just want to stress that any suggestions I have made are exactly that – suggestions; use those that resonate with you and disregard the rest. Julia’s cover letter, along with the annotated manuscript, assured me of how closely and astutely the editor had engaged with the text. Just as importantly, she seemed to genuinely like and believe in the story, inviting a relationship where I remained ultimate arbiter. I was in! Here, I invite Julia Stiles to speak about the role of book editor. Her conversation is packed with valuable information for writers and readers. For those like me who welcome practical writing advice, be sure to read Julia’s thoughts on the revision process. desk I see rolling green hills and well-fed Friesians. Actually, I try not to look up from my desk too often because a) such loveliness is distracting, and b) I might notice my teenagers running riot through the rest of the house. How did you get into book editing? JS: Oddly enough, when I was about twenty I woke up one morning with the thought in my head that I was going to be an editor, even though I didn’t have the first clue what an editor did. I was at uni in England at the time and the careers adviser laughed at me and told me I should become an accountant. Thankfully I came to Australia instead because I have the sneaky suspicion I would have ended up in jail for embezzlement. In Sydney I sent out my cv to every publisher in town, still completely ignorant of what an editor did. Thankfully James Fraser, then the publishing director at Pan Macmillan, offered me a job as his secretary. Whilst I was proving myself incompetent at that I was given the opportunity to read through the slush pile and then eventually to learn from two very skilled editors – Jane Palfreyman and Fiona Giles – who gradually trained me up into an editing role. What do you regard as key qualities of an effective editor? JS: For me the most important quality is to be able to listen very carefully to a writer’s intentions. This means being able to silence your own inner voice in order to inhabit someone else’s words. When I am editing I am not trying to fix anything or to impose my meaning on the text. I’m trying to help the writer to clarify their intentions, to find those areas of the manuscript they themselves are uncertain about, and to explore and trust in their own capacity to find the necessary solutions. It’s important, too, to be a sensitive and perceptive reader. When I first started editing I had never studied the mechanics of writing but instinctively, having read so much, I understood how stories were put together. I don’t think you can be an effective editor, or writer for that matter, if you’re not an experienced reader. How important is the relationship between author and editor? JS: It’s the quality of the relationship that is most important – a writer needs to trust their editor and to know that they are valued and respected. It very much depends on the individual author how significant their relationship is with an editor. I’ve worked with some very successful writers who don’t place a great deal of importance on the relationship — as long as the quality of the relationship is high, they will work with any editor; they don’t need that continuity of care and insight to produce terrific work. On the other hand I’ve worked with writers for whom a personal ongoing relationship with their editor is paramount. One author I worked with for many years said that editing was like taking her clothes off in front of someone and she was only prepared to do that in front of me! The relationship can be extremely dynamic and creative and productive, but I don’t kid myself that an author isn’t able produce great work without me. I felt that the editing empowered and contributed to the creative strengths of Wildlight. What result do you strive for? Do you have a memorable moment? JS: I love your description of the editing of Wildlight and that was exactly what I hoped for. More than anything I want a writer to learn to trust themselves – as you say, to feel empowered to trust in their own creative capacity. It’s very satisfying when an author says, yes, I knew that wasn’t quite right but I didn’t know how to fix it, and then, simply through the process of having their manuscript reflected back to them, they find exactly the right solution. This is a very enlivening process, for them and for me. Funnily enough, it’s not the moments I remember that are most significant. Often I will say something quite unremarkable and it will trigger in the writer a cascade of productive ideas. It’s not me doing the work; it’s the writer. Does it ever happen that an author outright rejects editorial suggestions? How do you overcome differences? JS: Actually, I’m delighted if an author thinks carefully about my suggestions and then rejects them. (If they reject my ideas without careful thought, well that’s their prerogative too.) I’m not the authority on their manuscript, they are, and if they think something isn’t going to work they need to trust their own judgement not mine. My sense is that differences tend to be minimised and are more easily overcome if you have communicated to the author the ways in which you appreciate their work. It’s easier for them to trust your response if they know you have read their manuscript with care, empathy and respect. What might surprise the everyday person about the editing role? JS: Perhaps that the role exists at all. People often seem to think that the writer sits down and produces the work pretty much word for word as it appears in the finished book. They’re not aware that sometimes quite a considerable amount of developmental work has been done, or that in some circumstances the editor has in effect rewritten the book. How would you define a great book? JS: For me there’s a distinction to be made between great literature and great books. Great literature, well, that’s endlessly debated and very much depends on your cultural, historical and personal context. A great book, for me anyway, can be defined by its impact on the reader (and it may or may not be considered great literature by other people). A great book shifts something in your internal world; it creates ‘slight inner adjustments of which we are barely conscious’ (to borrow from WG Sebald). A great book makes you experience the world in a different, more expansive way. It opens you up to life, even if occasionally that opening is savage. Before ever submitting a manuscript to a publisher, many writers spend a lot of time rewriting. Speaking for myself, it’s never easy to switch hats from writer to self critic. Do you have advice on ways an author can approach the revision process? JS: Give yourself time. Put the manuscript aside for as long as you possibly can, so that when you return to it, it seems unfamiliar to you. Basically this is what an editor is bringing to your manuscript – perspective. Pay attention to the small voice that tells you something isn’t quite working; invariably it’s right and what is holding you back from listening to it is weariness or boredom. When you get stuck, set the manuscript aside and daydream; walk, swim, garden, dream – do anything but try to find a solution. It’ll come eventually, often in an unexpected way. Of course saying ‘give yourself time’ is all very well, but time is often in short supply in publishing, not to mention in our daily lives. If you have a deadline I would recommend having a clear plan for your revision process. The following process reflects the way I work; it may not suit you, so find your own way with it. Firstly, read the manuscript from start to finish without changing a word (this is surprisingly difficult to do). Then try to think about the story as a whole. You’re looking for a general impression, as though glancing at the story out of the corner of your eye. When you come to look at it head on (that is, when you look at it scene by scene, line by line) those initial impressions will fade (or you’ll try to ignore them), but in fact they’re an extremely valuable guide. Think about which parts were satisfying, which weren’t; what didn’t make sense; where the pace slowed; which characters were vivid, which flat. Once you’ve identified the patchy areas, go in scene by scene and try to understand how each one contributes to the storytelling, or how it holds it back. I like the technique Ford Maddox Ford and Joseph Conrad called progression d’effet: ‘we agreed that every word…must carry the story forward and, that as the story progressed, the story must be carried forward faster and faster and with more and more intensity’. Think about how those scenes might change, and what effect this will have on the rest of the novel. When you’ve made those broad changes to individual scenes, then start looking line by line at the whole manuscript. (Yes, it’s a long process, but many writers I have worked with say they enjoy the revision process.) Read aloud to someone if you’re not sure whether something sounds right or makes sense. It’s helpful to show your work to readers whose judgement you trust, but make sure they are prepared to be honest with you, and you are prepared to hear what they say without holding it against them. Are you able to switch hats, to go from editor to everyday reader? Do you have a favourite book? JS: Yes, thank goodness, otherwise one of the greatest pleasures and consolations of my life would become confused with work. I read as an everyday reader all the time but I’m very choosy about what I read and I don’t persevere with a book just for the sake of it. I have so many favourite books it’s impossible to choose only one. Huge thanks to Julia Stiles for this wonderful interview. Thank you, George. Hope you are quaffing good wine and delicious poetry, and dreaming, still, of ice and penguins. While in the car this morning, listening to ‘Earshot’ on Radio National, I tuned in to What the Body Remembers, a poignant biography of poet Lorraine McGuigan, now in her eighties. Did you catch it?